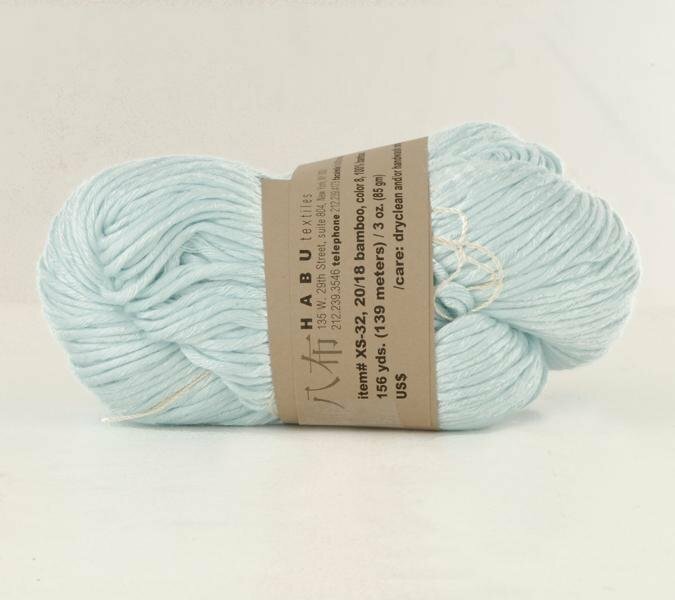 This luxurious bamboo yarn is extremely soft and has a stunning sheen. A skein will make a good size scarf, and 2 skeins will make a very long scarf. Bamboo is cool against your skin. With this weight of bamboo yarn, we recommend a smaller needle. The yarn is heavy, and with an open stitch the fabric will tend to stretch. This DK/sport weight Japanese yarn is 100% bamboo and comes in 85 gram (139 meter or 156 yard) skeins. US size 2-4 needles are recommended. Suggested EPI for weaving: 8-10. The Corallium Scarf in Ori Ami Knits is a stunning pattern to use with this yarn.